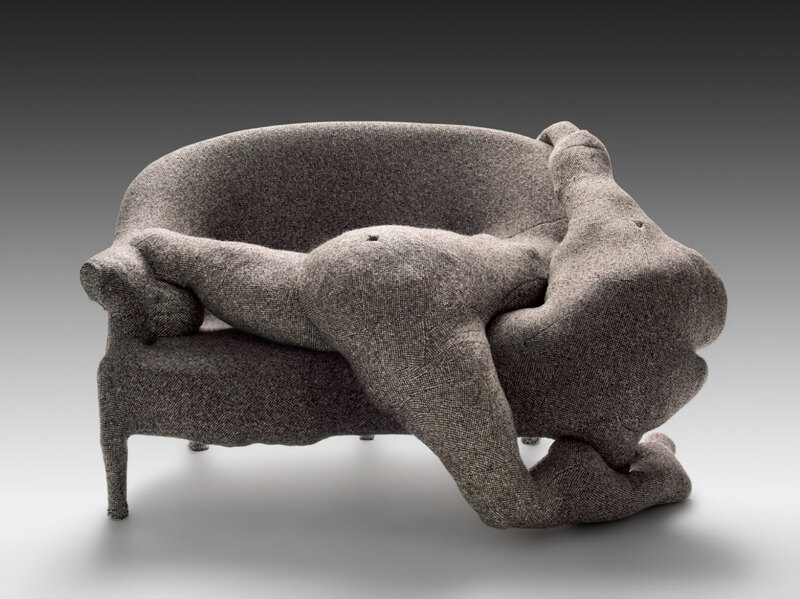 When asked about her work, the American Surrealist artist Dorothea Tanning explained: "This terribly non-mainstream piece was, more than anything, a challenge to myself, a bet that I made with myself, and only me, that I would give real physical life to a bunch of tweeds and stuffing. Now, when you look at its triumphant? paroxysmic? despairing? physicality you are not quite sure that materials are only tools, that the inert is the inert, that life is something else. But one thing you know: that like you and me and everyone else, this Rainy-Day Canapé will not live for centuries. But how could we care?"